ON MORE THAN 25 BEST BOOKS OF THE YEAR LISTS: including TIME (#1 Nonfiction Book), NPR, O, The Oprah Magazine (10 Favorite Books), Vogue (Top 10), Vanity Fair, Washington Post, Boston Globe, Chicago Tribune, Seattle Times, San Francisco Chronicle (Top 10), Miami Herald, St. Louis Post Dispatch, Minneapolis Star Tribune (Top 10), Library Journal (Top 10), Publishers Weekly, Kirkus Reviews, Slate, Shelf Awareness, and Book Riot. 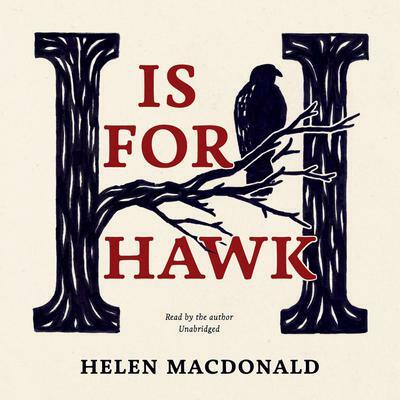 Helen Macdonald is a writer, poet, illustrator, historian, and naturalist, as well as an affiliated research scholar at the Department of History and Philosophy of Science at the University of Cambridge, where she teaches undergraduate and graduate courses. She also worked as a research fellow at Jesus College, Cambridge. As a professional falconer, she assisted with the management of raptor research and conservation projects across Eurasia.